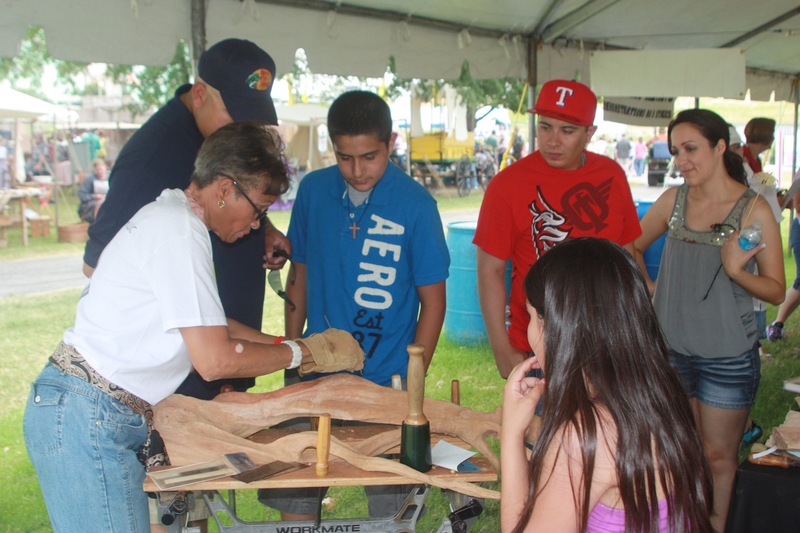 (Seguin) — The thousands of guests expected at this weekend’s Texan Cultures Texas Folklife Festival in San Antonio will get a taste of art from Seguin. Local sculptor Marika Bordes has been invited to demonstrate her art and wood sculpting during this year’s Folklife Festival of the University of Texas at San Antonio. Bordes says she is honored to have been invited and looks forward to sharing her talent with others. “It’s really a big opportunity for me to show to people what I am doing and what we are doing here in Seguin,” said Bordes. Bordes says she always appreciates the opportunity to create in front of others. She says her objective this weekend will be to show the importance of art in any community. “I will be giving demonstrations. I will be taking some accomplished sculptures you know that are finished to show them what it looks like and then fix them in order to give an idea of the process. I will bring pieces of wood and my chisel and give them a demonstration – show them exactly how it starts from the beginning to the end,” said Bordes. Bordes is scheduled to begin her demonstration at 11 a.m. Saturday. She will continue her demonstrations through late afternoon. The 41st Texas Folklife Festival runs from Friday through Sunday at the Institute of Texan Cultures located on the UTSA HemisFair Park Campus at 801 E. Cesar E. Chavez Blvd. Gates are open Friday from 5 to 11 p.m., on Saturday from 11 a.m. to 11 p.m. and on Sunday from noon to 7 p.m. Tickets are $10 for adults in advance or $13 at the gate. Children ages 6-12 are $5 while children five and under are free. Pre-sale tickets can be purchased online at Texasfolklifefestival.org. This entry was posted in Texas Folklife Festival and tagged 41st annual texas folklife festival, marika bordes, texas folklife festival. Bookmark the permalink. Thank you for all you speak and do.